Ping sites are awesome tool to index your blog or website into major search engines and blog or web directories in short time. Moreover you no need to have any special skill or knowledge for doing this. Just put your sites URL and title and press the ping button. These sites are hugely used in blogosphere for notifying search engines about the update or change of the blog. 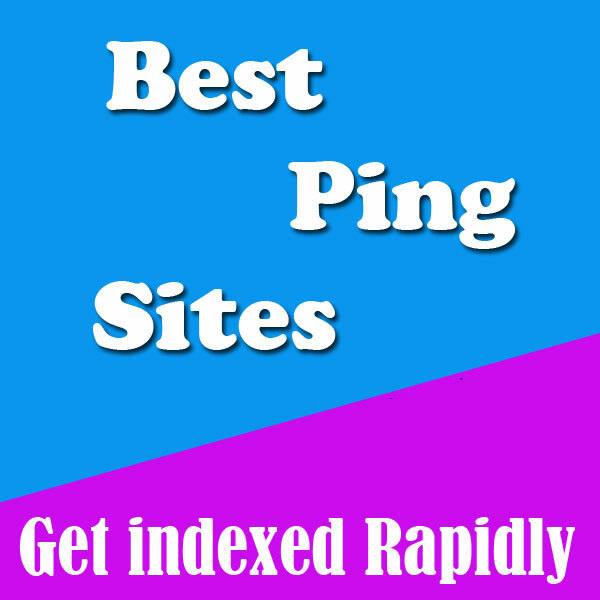 These ping sites can be used greatly as SEO tools. I have listed the names of 20 best ping sites here. These best ping sites can help you a lot by providing you best service. This list is designed for further use. You can bookmark this page for getting one click access to the best ping sites later for indexing your site’s URL.